What now? It’s a new year! What’s coming, what’s going, what’s up? Thanks and blessings for all you do. Remember that movie you and your kids loved, The Last Mimzy? Just like in the movie, humanity is at a crossroads. In the movie, men from the future send back artificially intelligent dolls to help find and collect DNA from a pure human who has not been polluted. This DNA is needed to unlock the full potential of humanity and represents a cure for the future human civilization, enabling them to achieve a more fulfilling, peaceful world community. The thing is, you are already there. 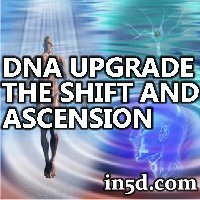 You are already at that point where humanity is receiving DNA upgrades, where you are ALL unlocking your full potential. It is your world that is dying now, just as a new earth is emerging. The biggest danger to your evolution at this moment is that too many of you will block your own progress. There is so much fear in your world that when wonderful new things appear you run and cower, scream and hide. Every small instance of change is automatically perceived and presumed a hindrance, a step backwards, when almost always it is a step forward. 50 percent of the children born in developed countries this year will grow to reach the age of 100. Do you really think this sort of evolution is happening without any accompanying improvements to the body itself? Of course, it is not. Just as your minds are expanding, just as your children are being born with a more intuitive ability to use and understand technology, so are their bodies being born with the ability to withstand all the changes of their environment and their world. As the world changes, so do the generations. So don’t worry so much. Don’t fear so many events. Go with the flow. When you feel discomfort in your body, recognize that MOST of your pain and illness stems from your resistance to the changes in the core of your physical being. See if you can isolate your dis-ease, and then let it go. 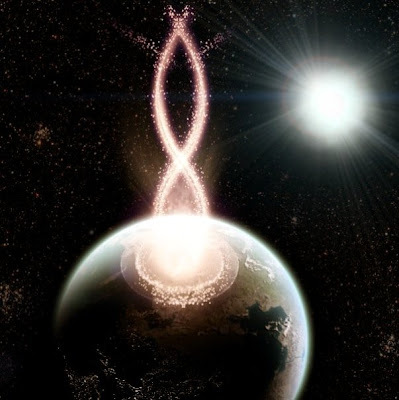 Recognize that you are shifting your very DNA and cellular makeup to create a new world. As the world changes, your physical body can and IS changing with it. You want to understand new technology? Your brain is rewiring itself at this very moment. You’re afraid of chemicals in your food? Your digestive system has always had the ability to mitigate harmful substances and raise the vibrational quality of your food. This was a fully human ability and power of Christ, something that you all can do. Intend your food to be a healing, ascension building tool, and so it shall be. Be ready for change. MAKE your own change. Get clear about what you would like to happen, because more and more as you shift into a higher vibrational Earth reality, what you want will occur with less resistance and at a faster pace. In essence, not only is time speeding up, but the delay between thought-creation and thought-manifestation is shortening. Watch what you think about – get rid of those doubtful, negative images in your head or all you shall sow in your life shall be weeds. Surround yourself with positive imagery and feelings to help your earth-gardens grow. Plant your seeds carefully, and use only the best imaginations and visualizations be your fertilizers. You shall be blessed. It is and always has been so.